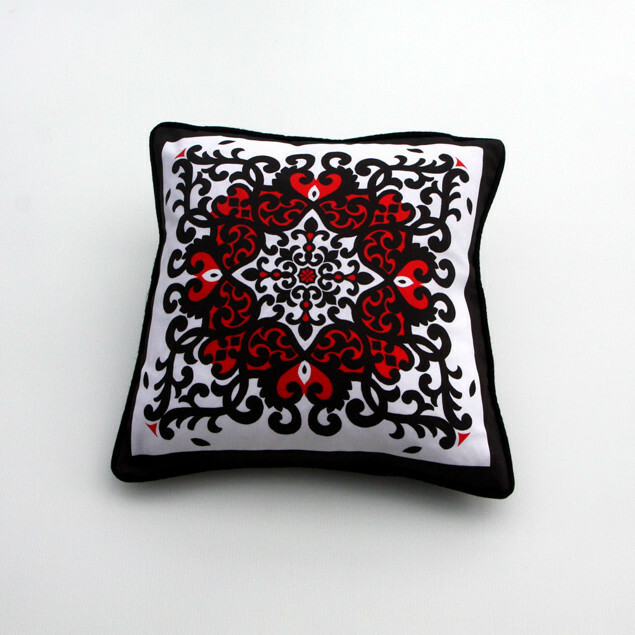 The new centre feature cushion by Nomads UK is inspired by the Syrmak style patterns from Central Asia and the regions of Kazakhs and Kyrgyzstan. These style of tribal pattern designs are usually colourful felt pieces and hand stitched onto rugs for the floor or wall hangings, and accessories.The original patterns of these tribes use to have deep meaning with each pattern representing things around them such as their animals sheep and goats, or water or yurts. So we thought it would be great to create a collection starting with this main center piece cushion to take the Nomads designs into a new direction but still compliment our original Ikat pattern theme. We compiled a selection of design ideas with Rachel out lead designer, and after hours of reworks chose this pattern as the first style and went into production with a digital print on a lovely quality Panama cotton designed for some heavy use in peoples lounges or bedrooms. 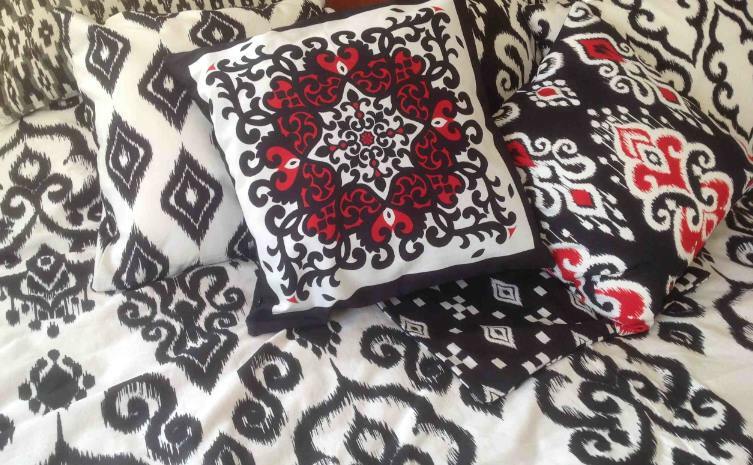 The other cushions you can see in the above picture are from our New Altai Mountain collection, in Reds, Blacks and soft whites and now just also available in some other amazing colourways..